Alva was born when the Panhandle line of the Santa Fe Railroad was built through Indian Territory in 1885-1886. It was the first town located south of the Kansas line. When the railroad sought a name for the new town, Alva was chosen in recognition of Alva Adams, an attorney for the railroad. The Cherokee Strip was opened to settlers on September 16, 1893. On opening day many people came to Alva by train, on horseback, in wagons and buggies to stake their claim. They had a choice of either a city lot or a quarter section of land. With many of the new arrivals choosing lots, Alva grew to several hundred people the first day. In March 1986, Alva became one of the first five Oklahoma Main Street towns. Funded locally, the Alva Main Street Project utilizes an incremental strategy developed by the National Trust for Historic Preservation. This project seeks to improve the image of the town, especially the downtown core, building on existing resources and fostering strong local leadership and long-term community support. The project's ultimate goal is to improve the quality of life for all Alvans. Recognizing the unique character of the buildings in the business district, it encourages architectural and graphic design that complements the existing structures. Alva's normal monthly high temperature is 96.3 degrees in July. The average low temperature in January is 19.6 degrees. Annual precipitation is 27.2 inches. The Woods County Fair is held annually in Alva. Exhibits of livestock, fruit, vegetables, farm equipment and other items plus a midway with rides, games and concessions provide enjoyment for everyone. Other area attractions include the Cherokee Strip Museum, Alabaster Caverns State Park, Little Sahara State Park, the annual Rattlesnake Hunt, the Nescatunga Arts Festival, the annual Christmas Crafts Show and more. Alva is an education-oriented community. Residents have great respect for education, and a high percentage of them are college-trained. In addition to the public schools, educational institutions in Alva include the Oklahoma Northwest Area Vocational Technical School and Northwestern Oklahoma State University. The Share Medical Center is a 40 acute bed and 80 long term bed hospital which takes care of health needs of Alva and the surrounding area. The Share Home Health Agency provides nursing care, physical therapy and speech therapy. Woods County Health Center, Beadles Nursing Home, the Northwest Oklahoma Community Mental Health Center and the Cimarron Work Activity Center, Inc., also serve area needs. Little Sahara State Park, the leading tourist attraction in northwest Oklahoma, features miles of sand dunes. The Great Salt Plain is 17 miles east of Alva and is the only place in the world to find hourglass selenite crystals. The Great Salt Plains Lake provides an area to boat, fish and camp. You'll also enjoy the National Wildlife Refuge, Alabaster Caverns State Park and Hatfield Park. Alva also has a full service country club with a 9-hole grass green golf course and swimming pool. Excellent fishing can be found at Canton Lake and Salt Plains Reservoir. 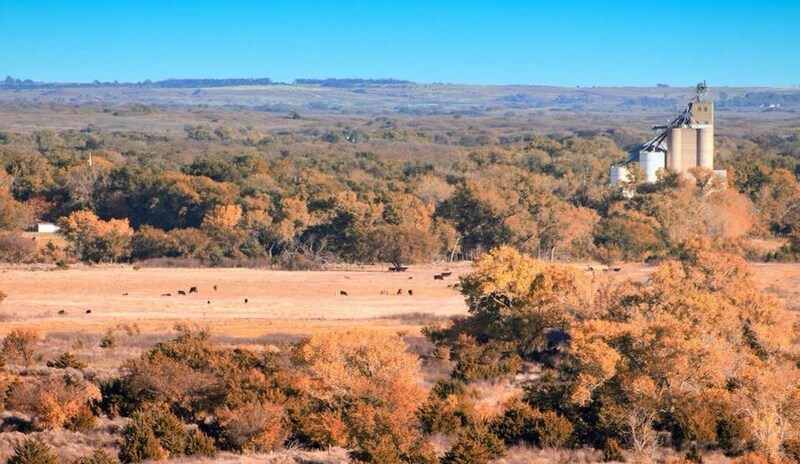 Hunting enthusiasts find northwestern Oklahoma excellent for deer hunting, quail, duck, geese, pheasant, wild turkey, squirrel and other small game. We at United Country of Alva wish to extend our invitation to you to visit our city and us. We are confident you will agree that we have much to offer.